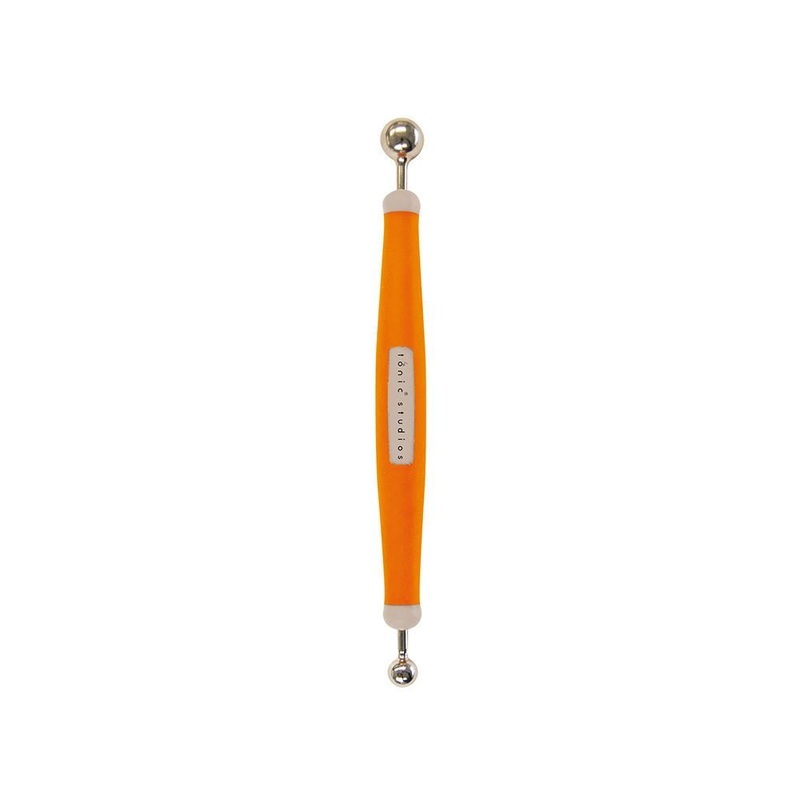 Embossing tool with a rounded metal head of two sizes. The duel ended, 8mm diameter and 12mm. Used to emboss and shape card in conjunction with an embossing mat. Kushgrip soft touch for a comfortable grip.